Google Chromebooks are an innovation that revolutionized laptops and made them simpler, cheaper and most importantly, a convenient choice for students. Chromebooks may look simple on the outside but there are models that are packed with amazing features and breathtakingly premium build quality. Whatever your budget is, there is always one around the corner and this list should suffice your requirement to find the best product in the market. Here, we are going to list some of the best Chromebooks for students. Students are obviously in the learning phase of their life and can’t afford expensive products, especially if they are tight on budget. The Samsung Chromebook 3 is an ideal fit because it gets rid of the frivolous features and focuses on what’s really important. 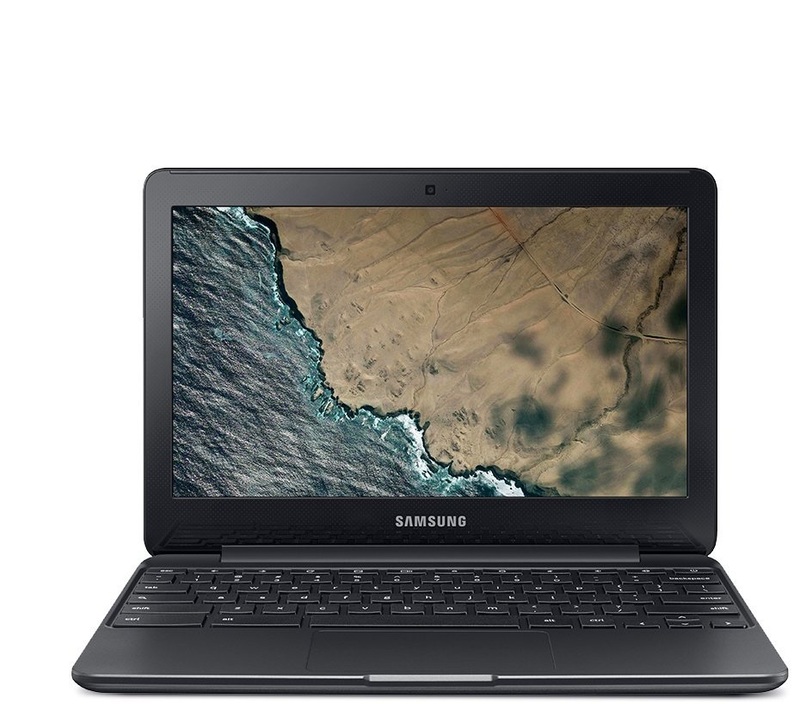 Powered by an Intel Celeron N3060 processor, the Samsung Chromebook 3 has 4GB of RAM and 16GB SSD storage space. The Chrome OS will take up some space but when you do everything on Google Drive, this shouldn’t be a problem. The bootup time is fast and the 11.6-inch 720p HD display is adequate. 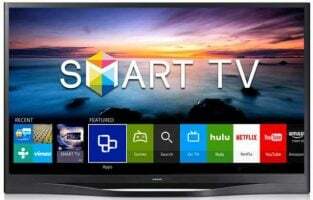 At just $200, you can’t go wrong with this one. The Chromebook may feel like it’s made up of cheap plastic but user reviews and extensive tests confirmed that it can last longer than how it looks. Just go for it without worrying about your budget. 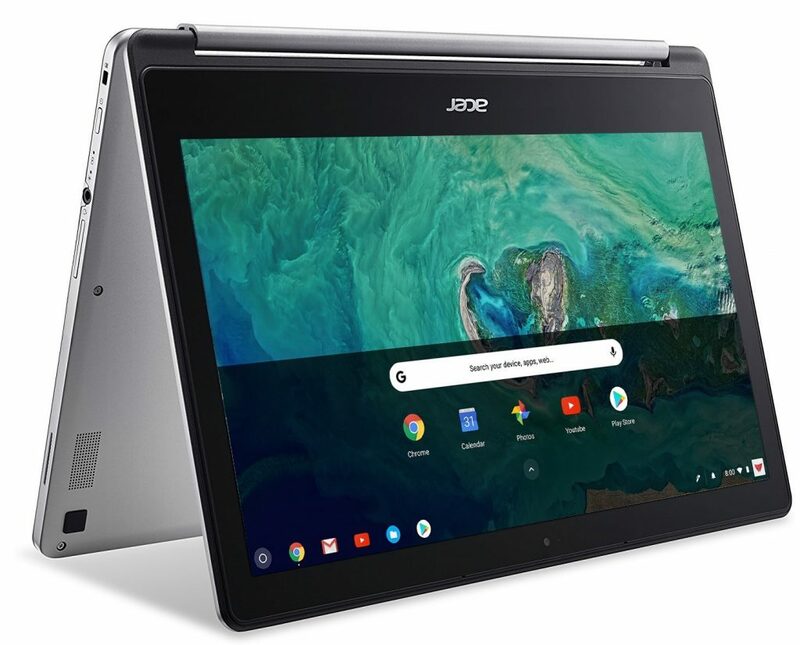 The Acer Chrome R11 Convertible is a dual-purpose device which can convert to your everyday laptop at school and can be flipped into tablet mode to just relax watching movies. The compact 11.6-inch HD display offers an IPS panel and is one of the best that you could get in the market. On the inside, the device is powered by an Intel Celeron N3150 processor coupled with 4GB of RAM and 32GB of SSD storage. That should obviously keep it responsive at all times and quick to boot. Acer’s partnership with Google brings the full Play Store to this compact, convertible device. And, did we say it’s got a touchscreen as well? That’s it! You can play all the Android games you love, download a slew of apps and chill out on weekends watching Netflix. 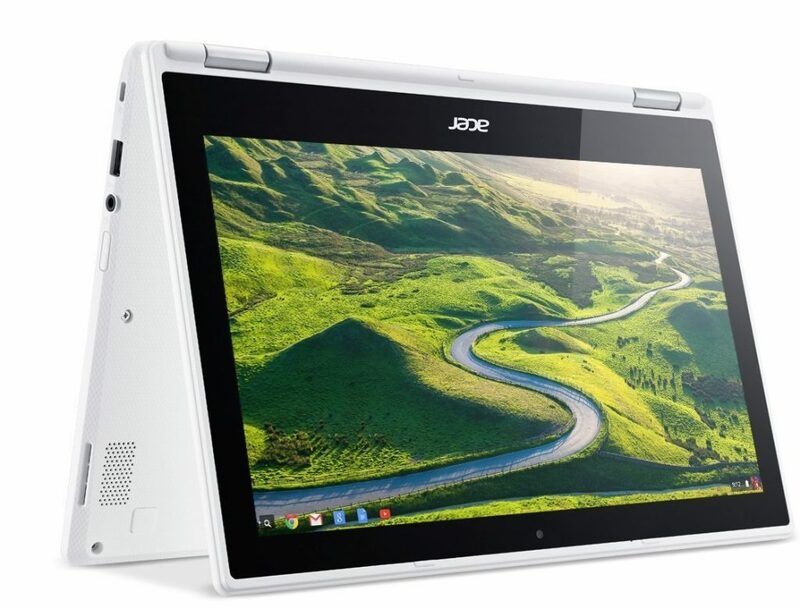 A multi-purpose convertible, the Acer Chromebook R11 convertible is the best in its class. It’s Time to be Amazed by its Full-metal Body, Quad HD Display, and Smart Pen! Samsung has been one of the first brands to adopt Chromebooks when Google launched it. After so many iterations, the Samsung Chromebook Plus has arrived. 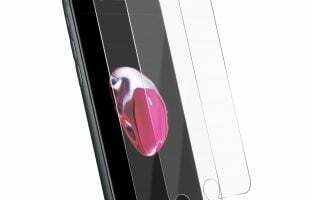 It’s simply an amazing product, to say the least as the manufacturer has blended the best of usability, style and innovative features in a premium shell. It’s powered by a 2 GHz processor with 4GB of RAM and 32GB of SSD storage space. 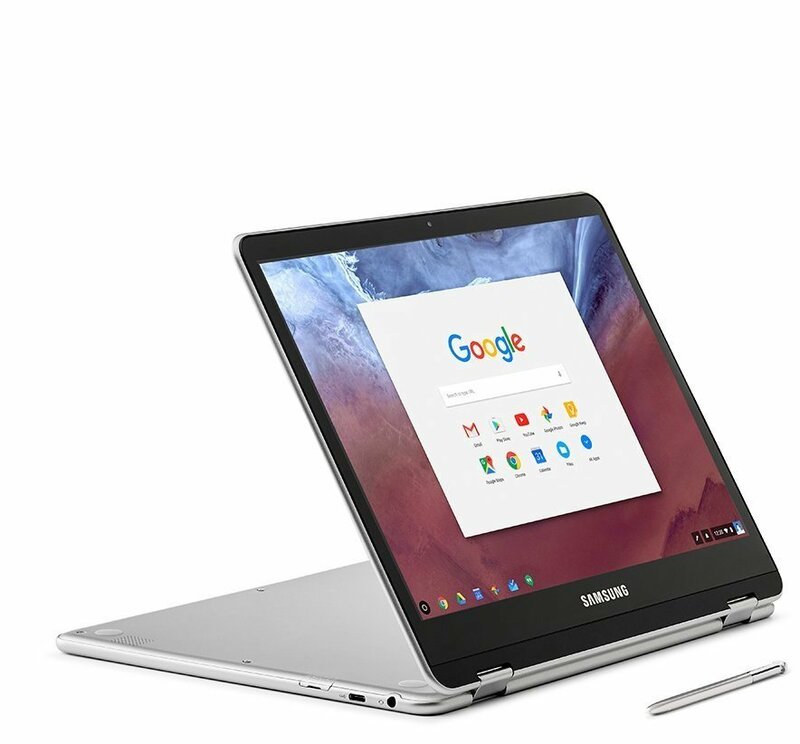 The Chromebook Plus from Samsung sports a large 12.3-inch with a resolution of 2400×1600. The fully convertible model allows you to easily switch between laptop and tablet mode. It also includes a smartpen which makes it easier to take notes, draw and edit presentations. The Samsung Chromebook Plus has the best display among many other laptops because of its resolution but may not be too compact in tablet mode. If you are not tight on budget and would want a Chromebook with the best display and resolution, this one is the right pick. The bundle includes a smartpen which is not something you could find in most other products. It comes in handy on certain occasions like taking notes at school or when drawing. Not all Chromebooks can boast of a large screen size because every one of them is geared towards portability. The Acer Chromebook R 13 Convertible dares to be different with a large 13.3-inch display. The 1080p display is spacious and allows you to enjoy your movies, apps or games in full HD glory. The device is powered by a MediaTek MT8173C quad-core ARM processor with 4GB of RAM and 32GB of storage space. 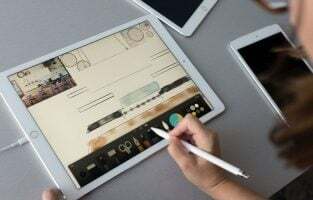 If we haven’t already mentioned it, the full HD display is also an IPS panel and you can easily flip the Chromebook to tablet mode to get your daily dose of entertainment. All the basic functionalities including WiFi, webcam are found in the Acer Chromebook R 13 convertible which promises about 12 hours of battery life which seems good enough for a long day at classrooms. If you are looking for a Chromebook with a large screen, this Acer product should easily fit your bill. Google Pixelbook broke all barriers and assumptions that Chromebooks are supposed to be inexpensive, easy to use alternates than laptops. Despite the breathtakingly high price tag that is close to $1000, the Pixelbook is the best you could get in terms of hardware specifications, build quality and performance. Under the beautifully carved metal body, the device is powered by a 7th gen Intel Core i5 processor with 8GB of RAM and 128GB of storage space. Similar to many convertible designs, you can flip this one into many positions such as notebook or tablet mode as required. The 12.3-inch display uses Gorilla glass for extra protection and it also has a pen but sadly Google doesn’t bundle the accessory. Apart from access to the Google Play Store, the Pixelbook has a dedicated button to access Google Assistant so that you could give voice commands to your device anytime. If you are to really nitpick and find a con with this one, it’s probably the obviously high price tag and the poor audio quality but everything else is awesome. A true premium Chromebook from Google! With manufacturers like Samsung and Asus dominating the Chromebook arena, Dell Chromebook 13 has hardly got the limelight it deserves. The device is available in both a 13-inch and an 11-inch variant. 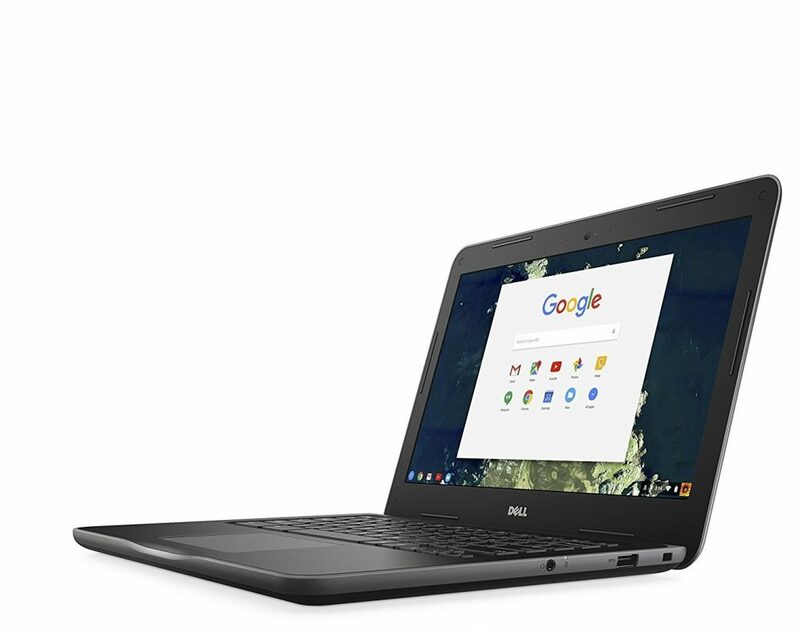 Chromebook 13 comes from a reliable brand, Dell, that’s used by millions in the business space. 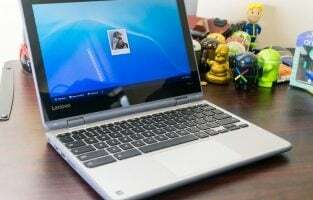 It uses Intel Celeron C3855 processor with 4GB of memory and 16GB of SSD storage. The specifications are adequate for everyday tasks to be done in school and office. 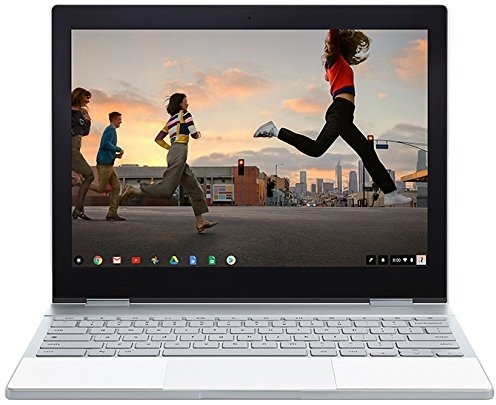 The Chromebook promises 10 hours of battery life, has all the connectivity ports and has a rugged design to last longer than other models. A common complaint from users is that the keyboard is too small but it’s durable finish and great speaker quality makes it a recommended product for buyers with specific requirements. The HP Chromebook 14 is the top of the line model from Hewlett Packard that surprisingly manages to impress everyone on most aspects. The device sports a pretty large 14-inch display with a resolution of 1366×768 pixels. It is powered by Intel Celeron N2840 processor and has 2GB of RAM in the base model coupled with 16GB of storage space. 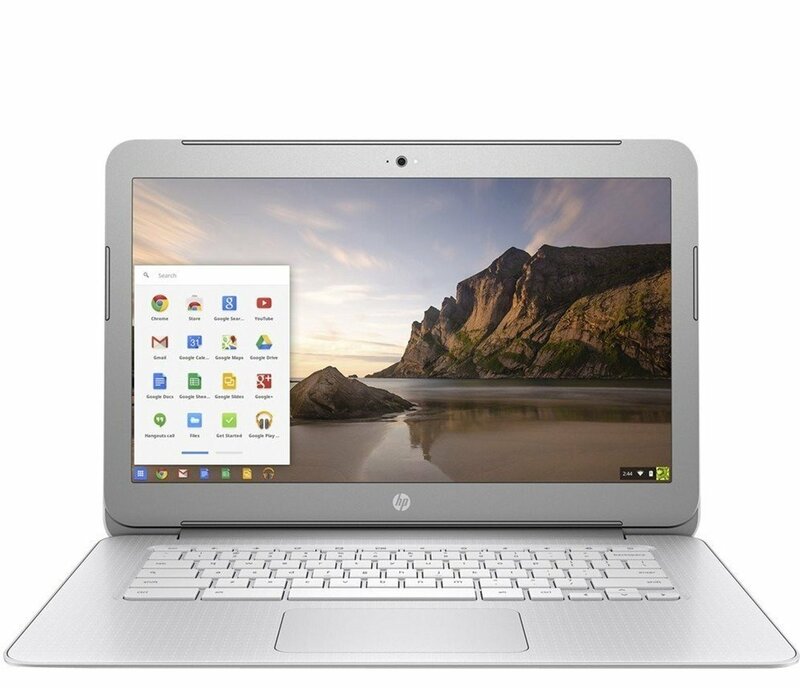 Despite the large screen size, the HP Chromebook 14 is compact, easy to carry and is very affordable for students. The bright blue color is available for older models while the newer edition focuses on a silver, matte finish. The HP Chromebook 14 has a bright display combined with a sturdy keyboard that is good for longterm use. It does have its fair share of setbacks though as some user reviews claim average battery life and the device being slow to respond at times. 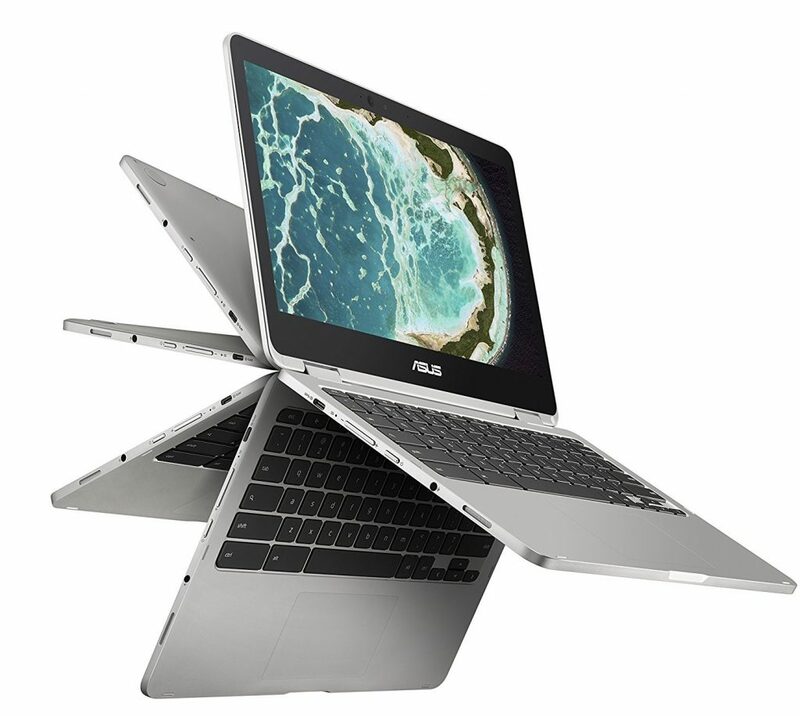 Asus Chromebook Flip is from a reputed PC parts manufacturer and they have done an impressive job with it. The device looks sturdy and the entry level with 12.5-inch full HD display model is powered by an Intel Core m3-6Y30 processor with 4GB of RAM and 64GB of storage space. The sleek aluminum finish gives it the much-needed premium feel and if you are a student, you might love showing it off to everyone else. The hardware specs keep it zippy at all times and the sturdy keyboard is reliable to type all day long if necessary. The tablet mode lets you enjoy some Google apps and games while the 2.65lbs lightweight design ensures it doesn’t hurt your hands when you hold it for hours at a stretch. The Chromebook uses USB Type C making it contemporary and there is very little to complain about this one. With hundreds of positive reviews, this one is a great choice as an all-around performer from Asus. Flex your Chromebook As Much As You Want and This Sturdy One Can Withstand It! Flexing your laptop might sound scary because of those creaky hinges but the Lenovo Flex 11 Chromebook is designed to be flexed any time. The 360-degree hinge lets you use your device in three different modes, letting you get the best of work done and relax when you want to. Simply use it in laptop mode during work for easy typing and flip it back, your Flex 11 is ready for a Netflix binge-watching experience. The 11.6-inch HD display is an IPS panel which improves the clarity of the content you watch. 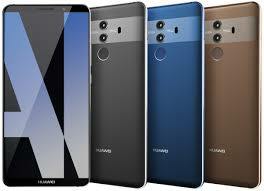 Under the flexible body, it runs on a 2.1GHz MediaTek MTK 8173C processor paired with 4GB of RAM and 32GB of storage. 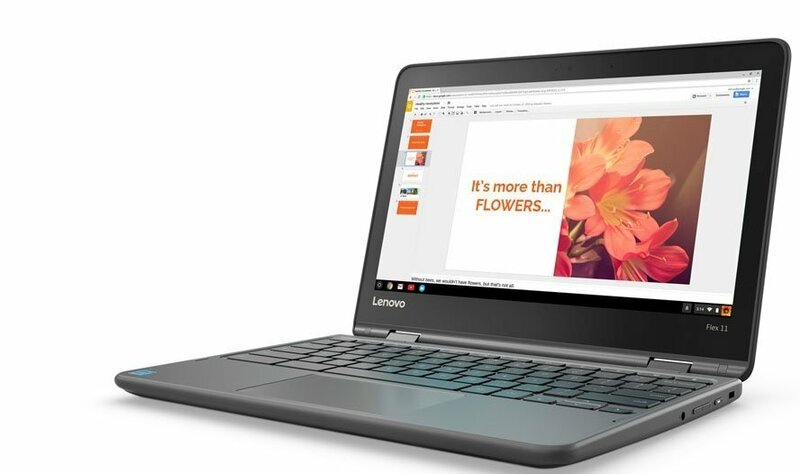 The Lenovo Flex 11 Chromebook promises 10 hours of battery life, is rugged and spill-proof allowing you to use it without any worries. Students can’t be careful all the time and this one is made for them. It uses USB Type C and has all the necessary ports you would expect it to have.